Often we hear mention of Common Law, what is it anyway and on the other hand what is Civil Law? Historically Common Law courts tend to be adversarial, the process by which each side argues their case before a neutral Judge. Civil Law is in contrast it involves an investigative or inquisition system. A Magistrate takes on the role of developing the evidence and the arguments for each side during the investigation stage he then presents his findings to a Judge that will adjudicate the case. The Judge is not merely an empire but he can direct interviews of the witnesses and express comments. Common Law is otherwise known as ‘case law’ it has its foundation in the courts rather than through a legislative statutes or executive action. It’s law that operates on the theory of precedent. Judges have the authority to reflect on prior similar cases and operate on the premise that cases should be decided according to principal. Findings are made on similar facts that lead to similar results. This rule lies at the heart of Common Law systems. One third of the population of the world lives in Common Law jurisdictions. Their legal heritage dates back to Henry II of England then to the British colonies and of course the United States, Nigeria, Pakistan, Australia, Cyprus, South Africa and others. 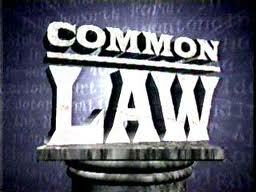 Today Common Law includes Statutory law or ‘Codes’ which are specific laws enacted by the legislature or regulation. The Common Law has evolved to meet the social and changing business needs of society, it’s much more flexible than Statutory law since the courts are not absolutely bound by precedence but can reinterpret and revise the law at will without legislative intervention. For all of us who have gone to law school we remember studying the works of Justice Cardoza and his skillful modification of Common Law to reflect the changes in society. 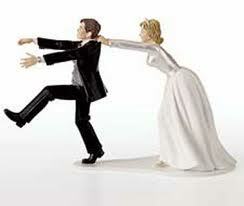 For example in a discussion of ‘negligence’ there has been a gradual change in the approach to liability. In the early 19th century a plaintiff could not recover from the defendant for his injuries in the distribution of a dangerous product or instrumentality unless the plaintiff was in ‘privity’ of contract. Today we see the change that has taken place in ‘Tort’ law. In the Landmark case of Thomas v. Winchester it was held that the manufacture of a poison that was mislabeled by a dealer was not protected by ‘privity’ of contract a position of early Tort law. Justice Cordoza in the early 1900s targeted the issue as being one of ‘foreseeability’. Judge Cordoza stated that “if the nature of the thing is such that it is reasonably certain to place life and limb in peril when negligently manufactured then it is a danger to all. “We as law students have had Cordoza’s words pounded into us on the development of the element of foreseeability as the primary factor in negligence.—— Thanks for Common Law”.